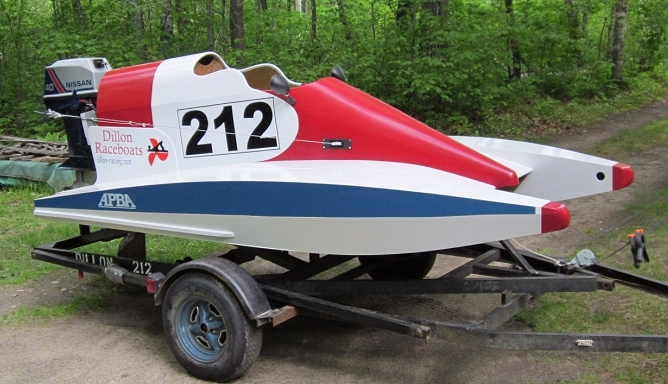 This tunnel boat was designed and built for racing in American Powerboat Association class Sport C.
Construction is skin on frame plywood using both exterior and marine grades. The cockpit is carbon/kevlar/foam composite for driver protection. 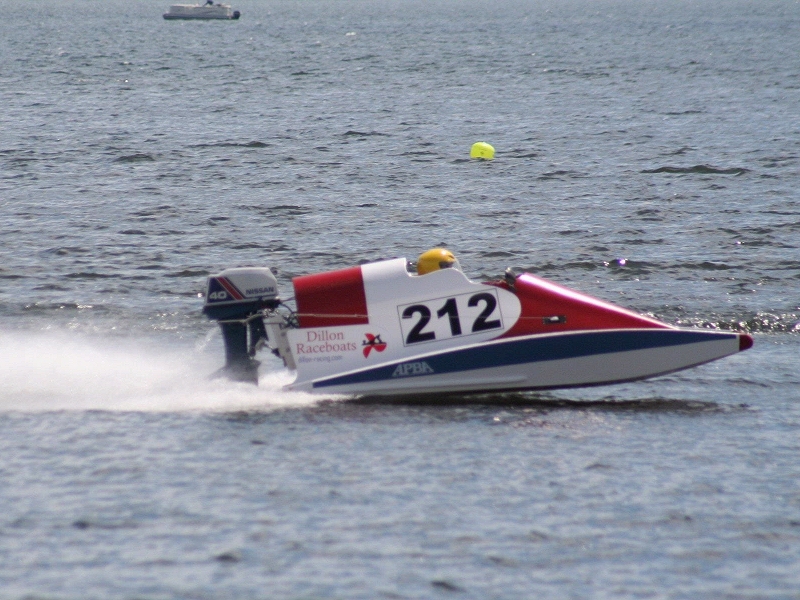 It is powered by a stock 2-cylinder, 40 hp Nissan/Tohatsu outboard motor for competition speeds in the 55-59 mph range.